One three-pound flank steak sliced into thick strips of a 1/4-inch. Sliced jalapeños, Pico de gallo, pickled red onions, guacamole, sour cream, shredded Cheddar cheese and sour cream for serving. 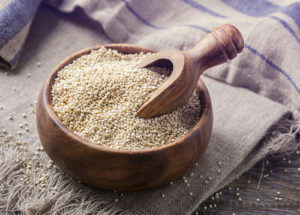 Whisk the three tablespoons of dry rub, lime juice, Worcestershire sauce, agave, soy sauce, and beer in a medium saucepan and then bring it to a light boil over medium heat before allowing it to simmer over medium-low heat. During this time, continue to whisk the ingredients for about five minutes. Remove the mixture from the heat and allow it cool for about five minutes. Using a large baking dish, place the steak strips and pour the mixture you just made over the strips, allowing it to cool to room temperature. Once it’s sufficiently cool enough, cover it and place it in your refrigerator for about thirty minutes. Preheat the griddle to 350° to 400°F and then remove the steak from the mixture which you can then throw out. Return the strips to the griddle and cook them for about two to three minutes on each side or until they are done to your satisfaction. 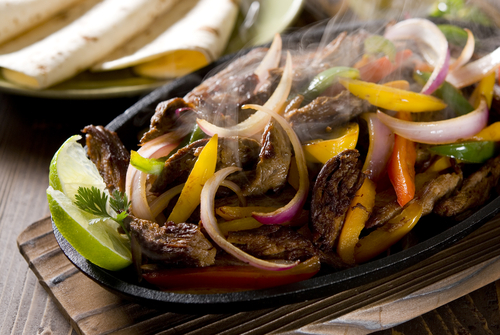 Use a grill or griddle to warm the tortillas until they’re slightly charred, about thirty seconds or so on each side. Use a clean towel or aluminum foil to keep them warm. 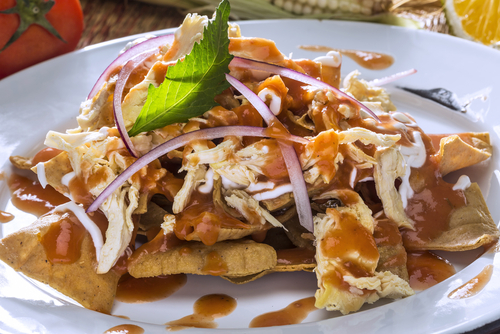 Chilaquiles are Mexican dishes consisting of fried tortilla strips usually topped with some spicy tomato sauce and cheese. They are often served with scrambled or fried eggs, guacamole, refried beans, and beef. Today we’ll be showing you how to make some chilaquiles using coriander cream. Here is what you’ll need. Begin by preheating your oven to 350 degrees. For the coriander cream, throw all of the ingredients into a blender and mix them until the mixture is smooth, adding more water as needed. Feel free to add additional salt or lime juice if you like. Once it’s ready, pour the cream into a bowl and clean the blender as you’ll be needing it again. Heat a couple of tablespoons of the veggie stock in a large frying pan over medium heat. Once it’s hot, add the salt and onion and saute until it appears soft and translucent, it should take about five minutes or so. Using the jalapeño, tomatoes, chipotle, veggie stock, and garlic, throw them in the blender and repeat the process of mixing until smooth. Pour the mixture into a pan along with the onion and boil it. Turn down the heat and allow the sauce to simmer for about ten minutes. During the simmering, place and spread the tortillas on a baking tray and bake them for about five to fifteen minutes until they dry out or the sides begin to curl. You can optionally spray some olive oil on the tortillas to give them a bit of extra crispness. Stir the beans into the sauce and simmer it on low heat for a couple of additional minutes. Stir the tortilla chips into the sauce once it’s time to serve so that they don’t get soggy. Top the chilaquiles warm with the coriander cream and whatever toppings you chose. It’s always good to add more recipes to your meal preparation repertoire. How does a veggie quinoa enchilada sound for lunch or dinner? Here’s what you’ll need to make it. Begin by preheating your oven to 350 degrees. Use a food processor to blend the black bean filling until it’s smooth. As for the veggie filling, saute it in a pan until it’s tender. Feel free to season it with salt and pepper as you see fit. Grab the corn tortillas and lay each one out, adding the veggie and black bean filling plus a scoop of quinoa. Roll them up and set them next to each other in a dish that can be safely used in an oven. Top the tortillas with whatever hot sauce you chose and sprinkle some of the cheese over it. Bake the enchiladas for about twenty minutes. Cinco de Mayo is over, but we all know there is never a bad time to prepare a meal involving tortillas. 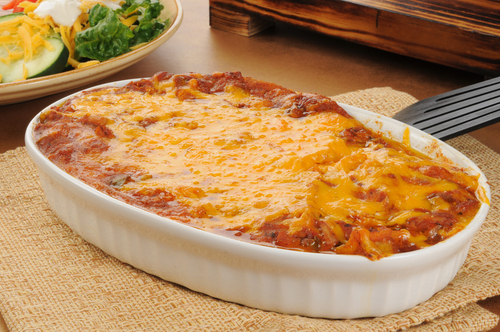 Without further ado, let’s take a look at the ingredients you’ll need to prepare a delicious Chicken Enchilada Casserole. Begin by preheating your oven to 350 degrees Fahrenheit. Use a skillet to melt some butter and then cook the onion and peppers in the butter until they begin to soften. Use a bit of salt, pepper, and cumin for seasoning. Grab a large bowl and whisk together the green chiles, sour cream, and the chicken stock and soup. Follow by stirring in the chicken, peppers, and onions. Using a 9×13 inch casserole dish, pour about a cup of the enchilada sauce into it, making sure the dish already has cooking spray. Set down six tortillas on top of the sauce and cover them evenly with roughly a third of the chicken mixture. Continue to do this until you have a trio of layers, ending with the layer of cheese. Cover the casserole loosely with foil and bake it for about 20 to 25 minutes. Remove the foil and then bake for an additional 10 to 15 minutes or until the cheese is melted and bubbling. You can optionally add more sour cream on top if you wish. Begin by adding the beans, spices, and a pinch of salt and pepper to a mixing bowl, using a fork to mix everything well while slightly mashing the beans. Follow by adding the cheese and corn and then continue to mix so that all of the ingredients are combined. Grab a piece of aluminum foil and scrunch it up so it looks like a shell and will hold one of the tortillas in a taco shape. Repeat the process for the rest of the aluminum foil pieces and tortillas. Be careful not to allow the edges of the tortilla to overhang too much as they could burn. Grab the bean mixture and pour it evenly among the six tortillas. 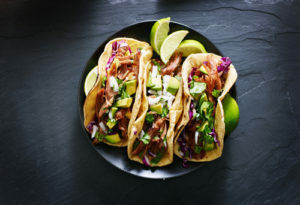 Use either a barbecue or a grill over a bonfire to cook the tacos, keeping in mind that the heat does not need to be very high. Continue to cook until the tortilla mixture is hot and the cheese has melted. For toppings, you may wish to consider peach salsa.